It is our newsroom’s understanding that he was found at his home in Road Town, the Capital City by his wife Janice where he was allegedly unresponsive at around 7:30 PM this evening January 1, 2017. Mr Blyden, an indigenous Virgin Islander, was the owner of popular radio Station ZVCR 106.9 FM and founder of Neil Blyden & Associate, a Marketing and Promotion Company. He was also known for his years in advertisement, his distinctive radio voice, especially when recording radio and TV commercials, and his contribution to the Virgin Islands culture. 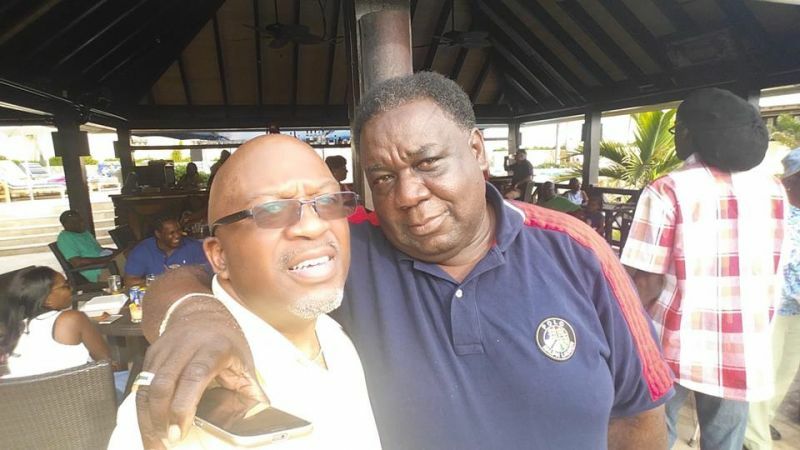 The ultimate businessman and promoter, the late Mr Blyden sought political office in the 1995 general elections with the Virgin Islands Party (VIP) and made up the ticket as an At Large/Territorial candidate. While he was unsuccessful in the 1995 elections, coming in 5th as only the top four were given seats in the Legislative Council under the newly introduced At-Large system, Mr Melee, as he is affectionally known, may have had more success in the area of Tourism. He served two tenures as Chairman of the BVI Tourist Board under a VIP Government from 1999-2003 and again between 2010-2011 and had the opportunity to represent the Virgin Islands all over the world. While as Chairman, the BVI Tourist Board went through a rebranding exercise and many of the Territory’s resorts had won many hospitality awards for service excellence. Mr Blyden, who spent many years in New York City, New York was also well connected to the African American entertainment class and was able to assist many VI events in getting top American artistes. The Board of Directors, Management and Staff of Virgin Islands News Online offer our condolences to his wife Janice Nibbs-Blyden and other loved ones. The BVI is too small for This Gentle man in every Way.. He was big in Every Way. New York was the best place for him to spread his large wings...He would have alive in New York..Home is not always the best place to be. @Pat, this statement always gets on my nerves. Things happen in life because that is the way life and death is. Saying the Lord will never give you more than you can bear is made up by man. If you could bear it, there would not be suicides, so therefore it was more than a person could bear. Things happen in life...period! Stop repeating everything saying you know at a sensitive time like this right now. It doesn't make the person grieving feel any better. RIP Mr. Blyden and my condolences to your family, he was a good man. thank you. and this is not the original pat. Can we stop telling people to stay strong. It's such a norm now it's like not a thought for how the mourner feels. Cry if you must, scream if you must, grieve in your own way as we offer our heartfelt sympathy. Our sincerest condolences to Janice and the family, and friends. We are truly saddened. Echoed at a funeral and old year service we must live every day as if it was our last. I am so sorry to hear about the death of Mr. Blyden. Condolences to his wife (cuz) as she goes down the road of the lost of her husband and sister. We continue to keep you and the family in our prayers. God is the master of life. Continue to trust in your master as you reflect on Psalms 23 "Yea, though I walk through the valley of the shadow of death, I will fear no evil: for thou art with me; thy rod and thy staff they comfort me." Hold on Janice. So sad for the blyden family.Mr melee was a good man .I saw him over the holidays at one mart. I hailed him up there. So sadden by all these bad news. Omg! Its so sad to have heard that news this morning. Sincere condolences to his wife and extended family on his passing. He was such a act/helpful person. He'll be well miss.